Rated 5 out of 5 by padley from 2 Tasty Too I loved the first 2 Tasty...and this is even better! It was very challenging for I got up to level 49 and couldn't finish it....finally looking up on the internet...the review said you had to get a high score continually to be able to finish it. So, I went back and got excellent for all the restaurants this time....I absoutely loved this game!! It was very challenging! Rated 5 out of 5 by juliabennett from Hidden object meets time management I loved the original 2 Tasty, but this one is even better. The graphics are better, the levels are harder, and it takes everything that the original had and throws in some curve balls, like the ingredients not reappearing after being used once. The sequel was definitely worth the wait! Bring on "2 Tasty 3"! Rated 5 out of 5 by stefish75 from Challenging, Creative, Funny, Beauty, all of it i played and finished the game! it was awesome! took me about 6 hours+ to finish (and expert them), trust me, the level goal isn't enough to complete this game the progressing of level really challenging , This sequel has a lot more variety and seemed to be more balanced, so many upgrade, features, bonuses, award, minigames, puzzle, panoramic graphics, story. libby, cole, mathieu, lynn.. ah.. I love them all.. I love 2 tasty and Libby ! Rated 5 out of 5 by SmokeyMtnLinda from AWESOME Sequel Game! I'm Loving it!! The upgrades, additions and changes to the original 2 Tasty are fabulous. I really enjoyed the 1st one - very addictive, unique, fun game, plus a very high replay value; at least for me. My preferred games are Time Management, but this is the best, most unigue gameplay of Hidden Objects, with a little variety puzzles thrown in for added fun; IMO. You even get some delicious recipes to cook. Highest compliments to the developers, great job!!!! More, more! Rated 5 out of 5 by Rainbow007 from love this game! I loved the first 2 tasty, and I hoped that there would come a continue. So when I saw 2 tasty too, there was no hesitation to buy this game! I love the combination of seek and find in different rooms and with a "dash-touch" of preparing diner. I also like the story of Libby and Cole. My compliments to the makers of this game! Rated 5 out of 5 by kcerqua from Love these types of HO's I've never been an HO fan, but I love these types and look forward to them when they finally come out. It's HO at a super fast pace then cook up what you find. Each restaurant changes after ten levels or so and the kitchen switches around and adds different screen to look in as the level progresses, so it's not that easy. At least not for me. There is a little too much dialog for my taste, but you can skip through it if you'd like. Timed or relax mode let you switch back and forth and you can upgrade your appliances. Very nice game. Rated 5 out of 5 by mary102696 from 2 Tasty Too This is my review based on the timed demo only. I really liked the first 2 Tasty so I was excited to this out today. The gameplay is very similar to the first one with some minor differences, and I did not encounter any technical problems or bugs. I do like how you can right click to get to the other rooms instead of clicking on the arrows. The music was not intrusive, the graphics were fantastic and the storyline is also quite good. Definite buy for me. Great continuation of the first game. Rated 5 out of 5 by tinacris from Happy, Modern, and Fresh A beautiful story full of colors and a good challenge, all within a modern Paris. It had a variety of restaurants, including a vegitarian one along with excellent recipes. Many of the recipes are from different countries. Recommended for all ages. Rated 4 out of 5 by JennyerSuper from Improvements Made and Layers Added I was really glad to buy this game as I enjoyed the first 2 Tasty game. The story picks up with Libby and Cole heading off to France to enjoy their vacation where Cole has to deal with Matthieu's competition for Libby's affections on a daily basis. The story is just as sweet as the story from the first game. The scenes between each and every level were a bit tedious, but I still really enjoyed the story. I am glad that they had the extra little bonuses of the fireflies and coins that were absent from the first game. I also liked the added challenge of having drawers and cabinets that open and close to reveal more items. Some of the levels had added challenges, like the food not regenerating after a certain amount of time etc. The challenge only scored a four as it was easy to develop a rhythm to beat the levels. After the items moved around or a room as added, you just had to fumble through the first level before knowing where everything is for the following levels. I recommend this game, it was a fun play through and it did take awhile to get through all the levels. Rated 4 out of 5 by rochellevargas from A ton of fun! This is a great sequel to the original Tasty Too. The game play is more challenging, thankfully. However, the graphics are slow and sometimes the ingredients to be located are not going to be found in the time provided. However, I think this game is fantastic! Rated 4 out of 5 by pennmom36 from 2 Tasty Too What? It's off to France to whip up some tasty gourmet cuisine. I must admit I liked this game better than the first edition, but still not jumping for joy. 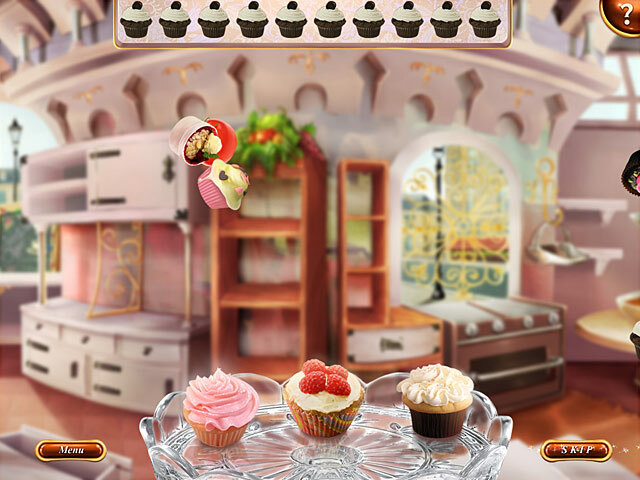 You need to search the kitchen for ingredients to make and fulfill orders, and then either whisk, blend and or bake the tasty treat and serve to the customer in order to get paid. Some ingredients were difficult to find simply because you couldn't tell what the item was without scanning over the item to find out what it was. All of these tasks need to be done quickly to keep the customer happy, enjoy! Rated 4 out of 5 by TurquoisePearl from Lovely This game was different from what I was expecting, but I still had fun! It was a lot more HOG that TM in my opinion, so you might be disappointed if you were browsing the time management genre and chose this one. I was not sold on the gameplay, but I loved the cute graphics and the somewhat sugary storyline. This is not the best game I have played, but it's still fun to play on a slow night. Rated 4 out of 5 by gsmith9204 from Great Game! I loved this game. I go back to it again and again. Once you get to know where everythng is on each level you can try to reach the Expert levels and extend the game. Storyline is addictive too! Rated 4 out of 5 by sweetypanda from challenge AND plot! The hidden objects challenges were absolute fun, and the plot gave sense to scenarios. Well thought and well realize, I recommend it! Rated 4 out of 5 by lorishere1 from Fun Hidden Object Game This is a great HOG game. It was challenging enough to not beat within a couple hours and not so hard that it was frustrating to play and you can buy upgrades which I love.The storyline was cute and different. This is one i would play more than once. Rated 4 out of 5 by AyalaSurit from 2 Tasty Too I love the game! It's fun and entertaining and the recipes are interesting. The only problem is, it's SOOO slow. This might just be my computer but the game takes forever to load and sometimes lags during certain levels of the game. This doesn't make it unplayable, but it does lessen my enjoyment or desire to keep playing at times. Rated 4 out of 5 by OldLady12 from Fun game! We liked the original "2 Tasty" and also thought "2 Tasty Too" was just as fun with a few different features. It's nice to have the option of timed or casual. With casual play, you can take your time trying to find the items, as some are hard to find. Play casual the first time around and hover over the items that you're not sure about. The name of the item appears. Then play timed and see how well you remember where the items are. It's also fun to see the various recipes that appear when finishing a level. A fun little game for kids & adults alike. Rated 4 out of 5 by hez2011 from Easy Hidden Object Game This is an easy, no stress, hidden object game that is pretty much a child's game. Having said that I still like it and would buy it. It's super cute and colorful. It's not one of those games where I am stressing to finish the level and sometimes that is nice. I imagine I would finish this game rather quickly tho. Rated 3 out of 5 by SouthernGal820 from Glitchy Unfortunately I had read the reviews and since they were split decided to try it because I love time management games. The concept of this game is good, you have to gather ingredients from a list, process and cook them so a little time management and hos. The loading process is a little slow at first but I didn't have any problems with it being slow after the first scene where you click on the place you will be working. You can skip dialog which I did because it seemed a little silly. I had no problems clicking on objects and obtaining expert score. People kept talking about a frying pan in the first scene, I did not see anything that required a frying pan, however, there is a silver bowl with a whisk that looked similar to a frying pan that I had to use. After playing a few minutes I had to exit the game then tried to come back in hence problems. Three different times I tried to go back into the game, it completely froze my computer up where I could not even launch task manager, I had to hold the power button down until it went off. So no buy for me since I was having the same problem some of the other reviewers had mentioned. Rated 3 out of 5 by chell112 from Very nice details but choppy The game itself was very colorful and very defined. However just in the tutorial items were not visible to proceed with the game. It was very disappointing since I loved the first 2 Tasty. 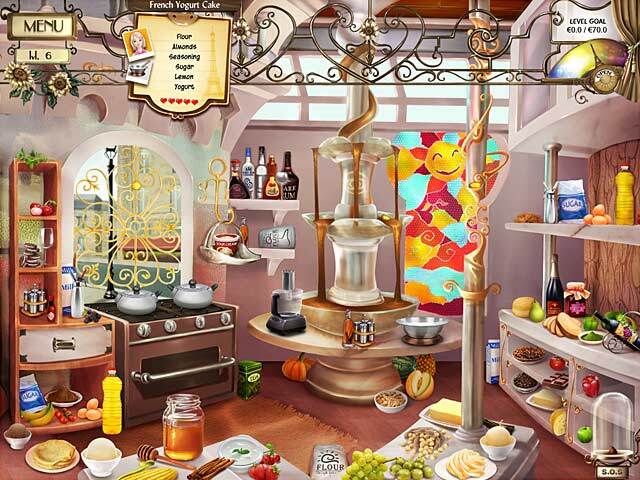 Rated 3 out of 5 by Altmoabit from not enough money I do like the graphics and the whole cooking theme. Not so sure about the level to level challenge. It does not make very much money to get some good upgrades, at least not in my 1 hour. Even though the kitchen expands and the items come back, I am not sure I would buy it. Maybe I like it better when I can design my own kitchen or upgrade a hotel or something. Rated 3 out of 5 by pony0011 from Not so great There were too many cut scenes and not enough hidden object finding. Rated 3 out of 5 by Sweetypuss from Time Management instead of HOG I like the house building, road building, rescue type of time management versus the restaurant find the ingredient type of TM's. I only played for 10 minutes because I thought it was boring and not really sure why this is labeled as a HOG. The game is okay unless you've played other TM's like Road to Rome, Rescue Me and Fairy Godmother Tycoon. I think this is probably more for the younger players or someone who likes to cook would probably enjoy this...I'm dieting so I don't need to think about food while playing ; ) It does remind of another TM that was about building grocery stores ... pretty similar. Rated 3 out of 5 by wildhartz from Its a ok game There are two things that drive me crazy about this game. 1: No Hint ( Yes you do have the S.O.S button, but it gives you everything on the persons list. I just want to know where one item was.) 2: The story always coming up after a level. The first one is much better. I did buy this for my mother (77) who would give it a four star. 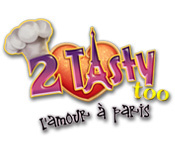 Rated 3 out of 5 by Rebr2009 from Great for children A couple goes to Paris, and the girl will learn recipes of French cooking with a friend, leaving her boyfriend jealous! A HOG (you have to find the ingredients and then cook, and sell in order to improve your kitchen. You have a goal to reach, or will have to redo. Very similar to Time Management,( but can be untimed). Well drawing, colorful and cute. Recommend for children.